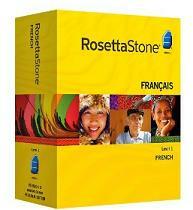 Rosetta Stone is one of the best investments we have ever made for a homeschool language program. It’s easy to use, interactive and keeps track of progress. All aspects of learning the language are incorporated, pronunciation, grammar, writing, comprehension, spelling, etc. It’s fun to use (the children are eager to use it) and parents can learn the language too! I highly recommend Rosetta Stone for learning a new language.